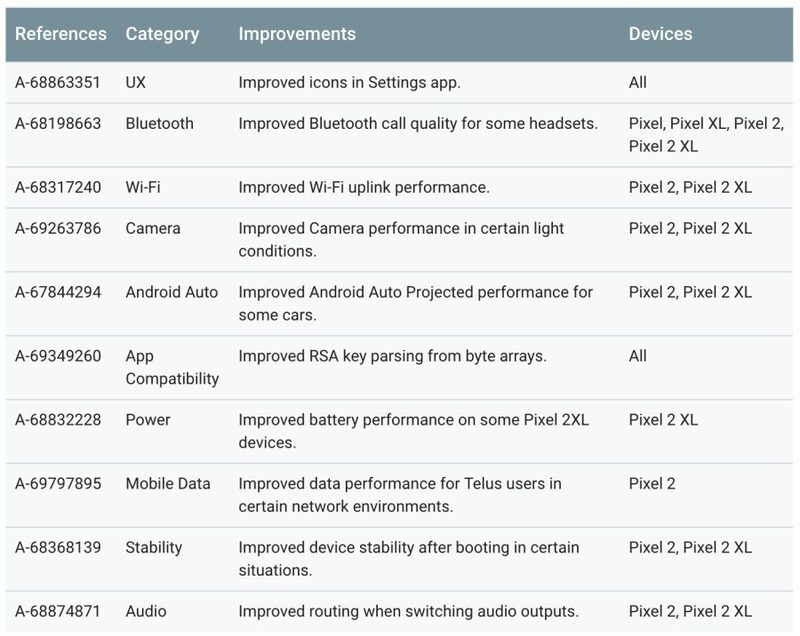 February 2018 Security Patches Are Now Rolling Out To Pixel & Nexus Devices, System & OTA Images Released - AndroGuider | One Stop For The Techy You! 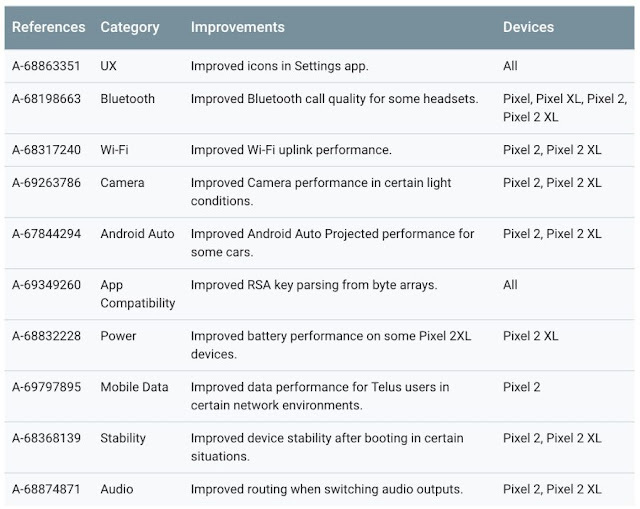 Google has listed a wide array of functional improvements (not security related) which have been made to the Pixel devices with the February security patches. The improvements are mentioned below. As always, the security patches are divided into two levels dated February 1 and February 5. The latter patch is more secure than the former since it consists of additional fixes. The Nexus and Pixel devices will be getting the February 5 security patch. 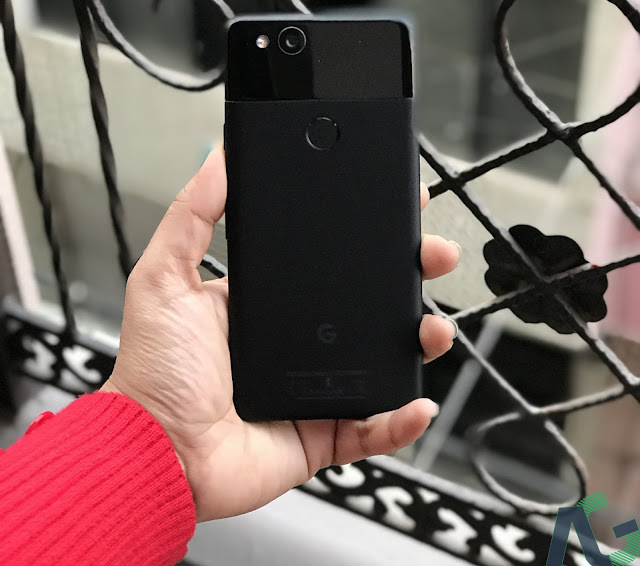 As mentioned before, the February security patches are being rolled out in the form of an update to the supported Nexus and Pixel devices. You can choose to either wait for the update to show up on your device or install it manually. The OTA images can be installed if your phone currently runs on the January security patch. System images are full ROM ZIPs and can be used if you are moving from an old security patch or if you are switching ROMs. Flashing OTA images won't lead to any data loss while flashing system images will erase your contacts, apps and messages. The requisite download links can be found in the source below. Google has said that the February security patches would be released on AOSP within two days.